Oh right, wrong holiday (yes my birthday is a holiday, just not a national one). Well, it certainly felt like my bday last night over at the Shrine World Music Venue. ONUTSS (One Nation Under The Soul Shack) hosted their annual Holiday/Year End Celebration and it sure was a spectacular event. A number of indie artists were in the house to show Pam and Detrel love and thanks for what ONUTSS is about. 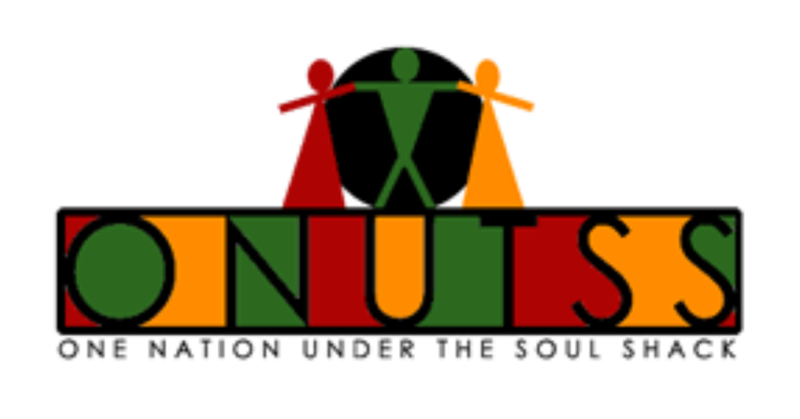 For those of you who do not know, ONUTSS represents a place where the love for quality soul music, amazing musicianship and camaraderie all reside. All of the phenomenal stuff you don’t hear on the radio? Best believe that ONUTSS will bring it to you live and direct. Artists, media, fans – you name it, all were there to represent and enjoy a night of spectacular talent and positive vibes. The bill had quite a few stellar acts performing – Serena, Tom Paul, Robin Small, Keith Fluitt and Abby Dobson and they each brought down the house with their own style of seductive or interpretive soul. Each artist took to the stage and showcased two of their tracks for the patrons to enjoy. I will go through one from each. Serena started off the show with “Nobody Has To Know,” a stellar mellow track that had everyone in the groove right from the start. Robin Small followed with her powerful gospel-tinged voice, taking us all to chuch. She surely delivered the message with “I Surrender” and I know that it did not fall on deal ears. Tom Paul debuted “A Different World” and had harmonies floating from patrons in every corner of the room. Abby Dobson represented with her unique, yearning and powerful voice on “Born 2 Love U” leaving everyone craving for more. Angela Johnson, Monet, Mike Hammond, Starbrite and Mika were all present (forgive me if I forgot anyone!) and so was Vivian Sessoms, who took the stage. She blessed us with a passionate cover of Gnarls Barkley’s “Crazy.” The versions I have heard lately from both Kimberly Nichole and Vivian, have been ON POINT. No need to say any more on that. However, it was the finale that was worthy of an encore or two. Keith Fluitt took to the stage along with most of the amazing talent in the house: Myoshi, Ra-Re Valverde, Andricka Hall and the artists on the bill – for a rousing rendition of “This Christmas.” It was a beautiful night that ended on a high note indeed. Everything just flowed…great company, good vibes and lots of love all around. For those who were trying to disturb the groove – God does not like ugly. They know who they are. That is the reason why the night went on without a hitch. Not to mention, I must say that I have been blessed to become friends with a lot of these artists. I give thanks for these wonderful friendships and look forward to what 2009 brings forth for all of them. I send out nothing but love and positive vibes. Flashback of the day: I thought it would only be right to go a bit further back into time with this one.